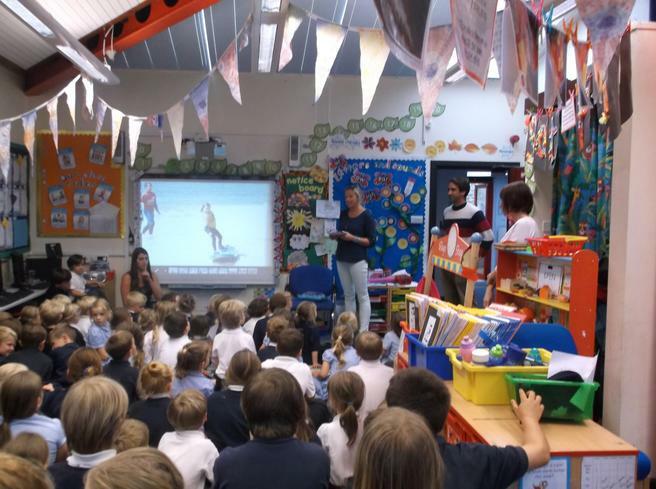 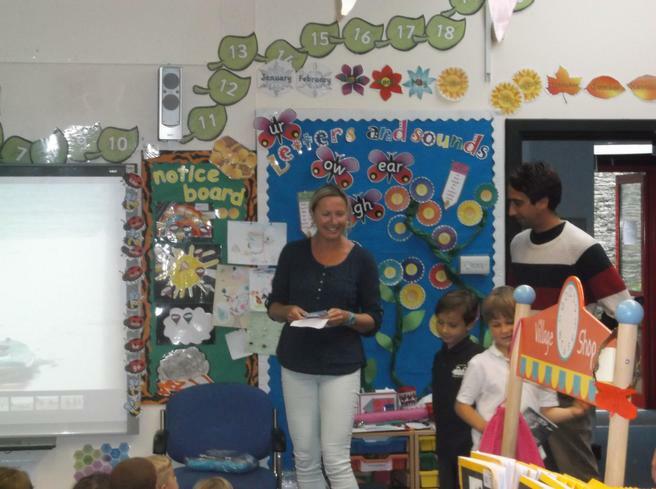 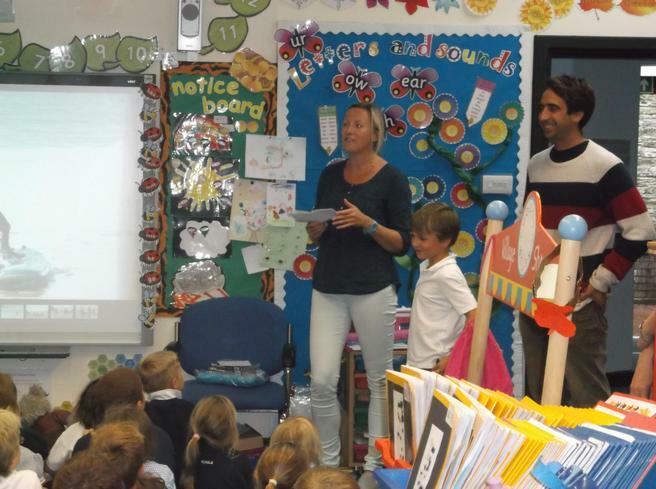 We were delighted to welcome Mr and Mrs Connolly in to school on Friday afternoon to give a 'Surfing Assembly' to the whole school. 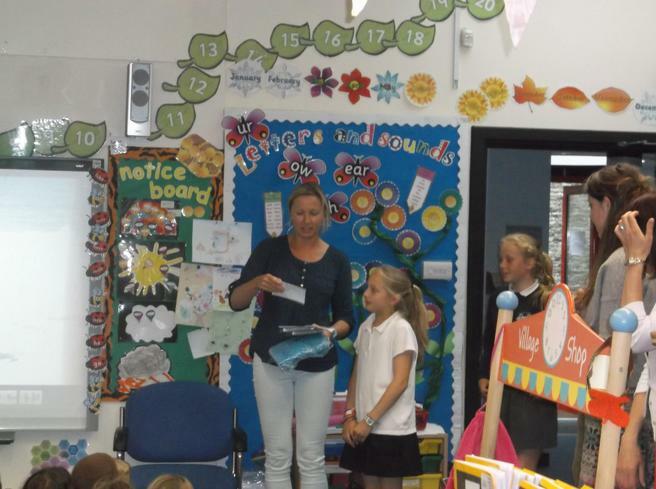 Lily-Rose, Gemma, Freddie and Seb were all delighted to be presented with 'Discovery Surf' hoodies in recognition of their amazing surfing skills. 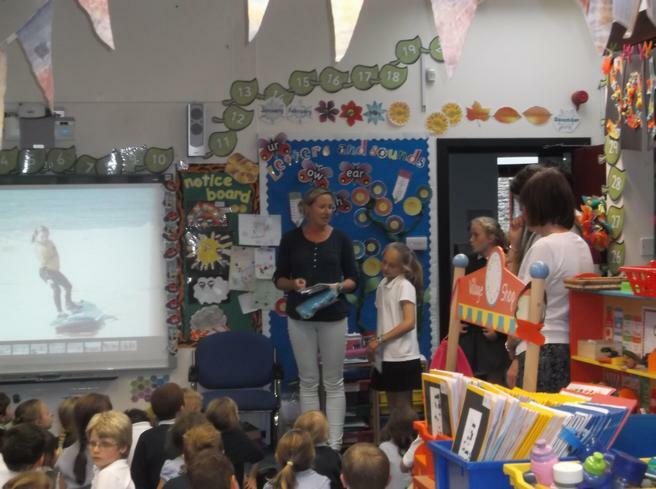 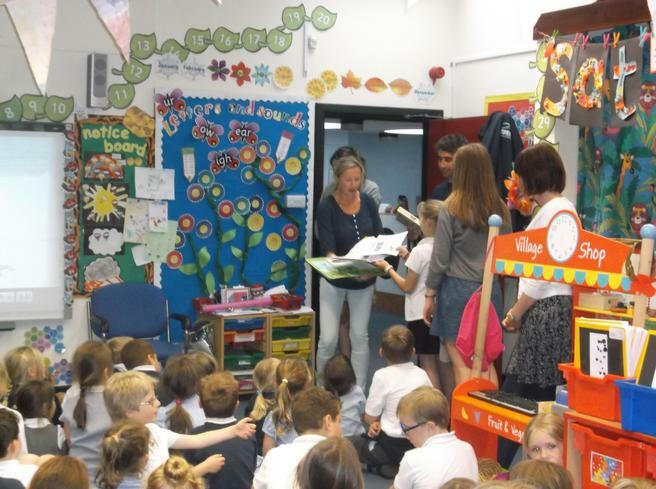 At the end of the assembly Miss Harvey thanked Mr and Mrs Connolly for giving our children such a wonderful opportunity and presented them with thank you cards and gifts from everyone in the school.